Led by former MBL scientists Julie Reveillaud of INRA, France, and Sarah Bordenstein of Vanderbilt University, the researchers reconstructed near-complete genomes of Wolbachia isolated from individual ovaries of four Culex pipiens mosquitoes. In the process, they identified a novel plasmid—a circular piece of DNA that can replicate independently of the chromosomes. 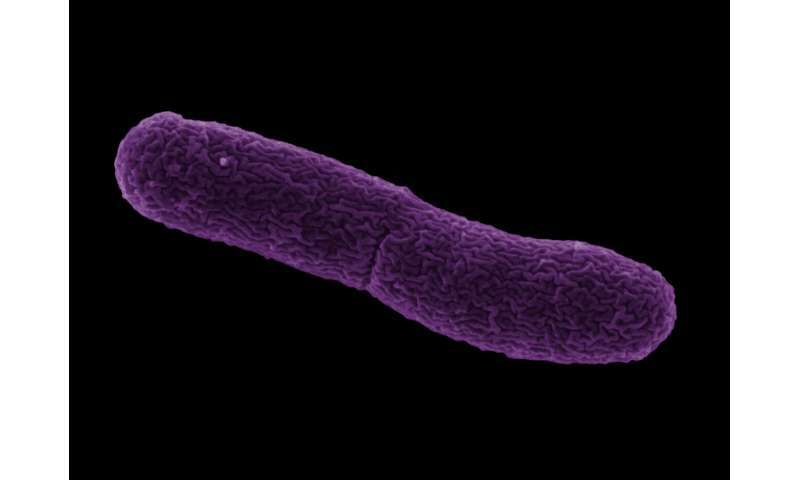 Because a plasmid is a mobile DNA element, it can transfer from one cell to another and can have great implications for the fitness and evolution of a microbial species. Mobile genetic elements that can spread through different Wolbachia cells, and thus across a Wolbachia population, hold promise for controlling mosquito populations that may carry disease. 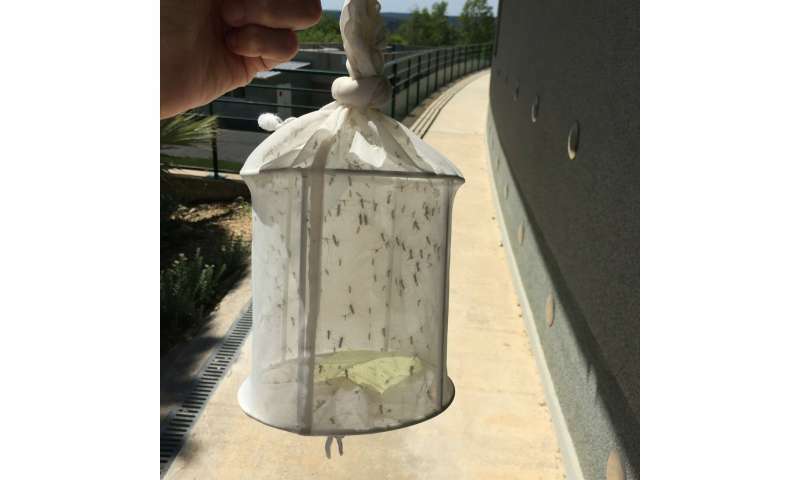 "Our data show that this novel plasmid is widespread across natural Wolbachia populations that infect C. pipiens mosquitoes throughout the world, which implies it has an essential role. The idea that it may enable transformation of the Wolbachia populations is simply very exciting," says the senior author of the study, A. Murat Eren (Meren), an assistant professor of medicine at the University of Chicago and an MBL Fellow. "Wolbachia populations do not lend themselves to direct genetic modification. While a natural plasmid sounds very promising to bypass those limitations, we do not yet have any evidence to suggest the possibility or efficacy of any transformation through this plasmid," Meren says. "We just discovered its existence, and the time will tell how useful it is." "Other exciting questions for which we do not have yet clear answers include whether there is an ancestral relationship between the plasmid and other mobile genetic elements of Wolbachia, and whether these interact or not," adds Reveillaud. This collaboration began at MBL in 2011, when Meren and Reveillaud brought their computational and molecular evolution backgrounds together to explore questions in microbial ecology in the MBL's Bay Paul Center. (See Reveillaud's blog post about the collaboration.) 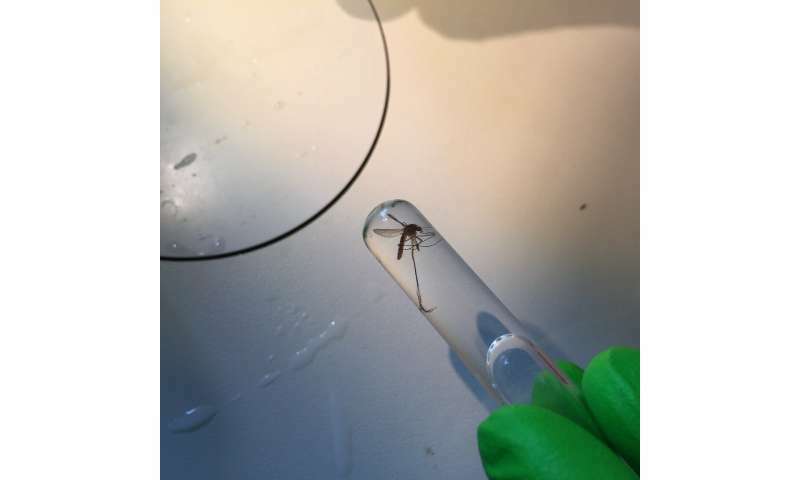 Years later, they began examining Wolbachia genomic diversity by focusing on individual mosquitoes captured in the wild, rather than using laboratory mosquito strains. With the help of former MBL scientists Sarah Bordenstein and Seth Bordenstein of Vanderbilt University, who have expertise in Wolbachia, they began unraveling the intricacies of the Wolbachia genome. "Wolbachia is particularly difficult to study because, unlike free-living bacteria, it cannot be cultured in cell-free media. Through this interdisciplinary collaboration, we were able to tease apart the genomes of the mosquito host, Wolbachia, and its mobile elements," says Sarah Bordenstein. "The key bioinformatics platform that enabled us to study mosquito metagenomes and Wolbachia pangenomes in this study, and the connections between scientists with distinct skills that made this discovery possible, were developed at the MBL," Meren says. "Almost everyone in this paper is somehow linked to the MBL."